It is well documented how using games in a classroom context can facilitate collaborative learning, promote problem solving and stimulate an engaging learning environment. One methodology that demonstrates all these elements is Game Based Learning. Not to be confused with Gamification, Game Based Learning (GBL) is the process of using games to achieve a defined set of learning outcomes. Games that generate data e.g. Kinect Sports or Mario Kart, are ideal for teaching Maths and Statistics. Games that tell as story are great for developing creative writing. Puzzle games can develop problem solving and physics based games such as Angry Birds can be used to explain velocity and momentum. For example, you could play part of a game and ask students to describe what they saw and what they heard. You could ask students to write a story about what happens to the character next or to create a character of their own – complete with biography. You could have a race and record the lap times and use them to work out mean, mode and median or use a game to start a Socratic debate. One game that seems to optimise all these elements is Minecraft. Minecraft is a sandbox game where players have to build structures, fight monsters, hunt for food and gather resources in order to survive. The Raspberry Pi foundation has created some fantastic tutorials to get you started: http://www.raspberrypi.org/learning/getting-started-with-minecraft-pi/ whilst Martin O’Hanlon and David Whale have teamed up to write a fantastic book called 'Adventures in Minecraft' - Adventures in Minecraft teaches young people to customise their Minecraft world with amazing structures and new gaming experiences, developing Python programming skills along the way. According to the official website: "MinecraftEdu provides products and services that make it easy for educators to use Minecraft in the classroom. 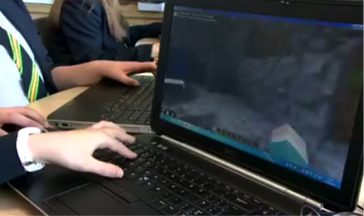 MinecraftEdu make a special version of Minecraft specifically for classroom use. It contains many additions to the original game that make it more useful and appropriate in a school setting." MinecraftEdu also offer a cloud-based solutions for schools for hosting Minecraft classroom servers so students and teachers can connect and play together securely. MinecraftEdu also hosts a library of lessons and activities that are available for free as well as a teacher community exploring uses of Minecraft in the classroom. Using Minecraft to teach Computer Science theory. For those who don’t know Ray Chambers, Ray is a Head of Computing / ICT and Microsoft Innovative Expert Educator. Ray is also an evangelist Computer Science and has developed some innovative approaches to teaching Computing in the classroom. One example of this is teaching logic gates using Minecraft. History can be fascinating, but sometimes difficult subject to engage learners, especially when students have to memorise important dates or key figures. Amy Landisman is just one pioneering educational practitioner who demonstrates how Minecraft can be used to explore a historical period in depth and bring history back to life. 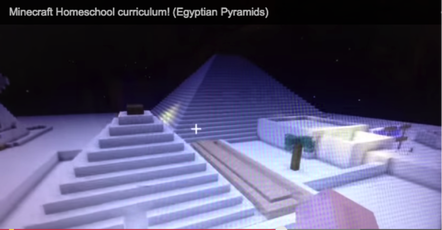 In one of her lessons, Amy uses Minecraft to explore the history of Ancient Egypt. 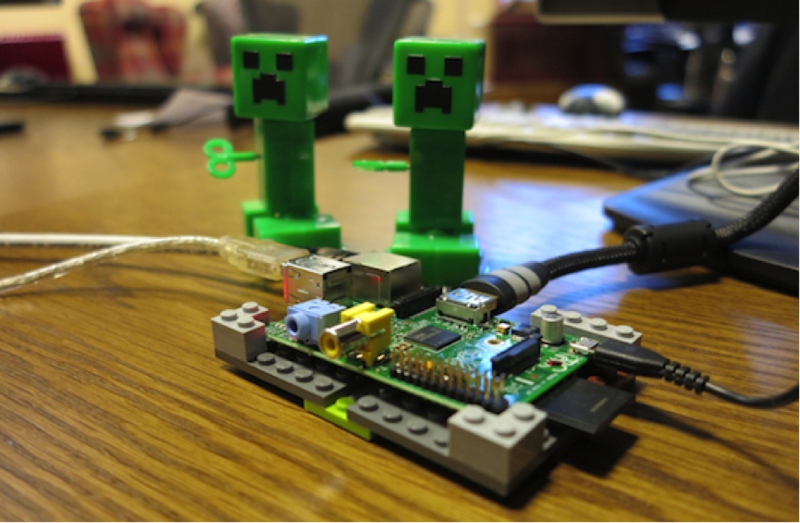 Raspberry Pi Foundation: Minecraft Pi Lessons: Lessons and resources for introducing coding with Minecraft Pi Edition. MinecraftEdu: Official website for the MinecraftEdu schools programme. MinecraftEdu Wiki: Lesson resources, worksheets and handouts for using MinecraftEdu in the classroom. 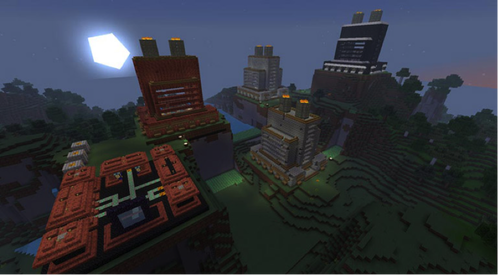 The Minecraft Teacher: Joel Levin's blog exploring how to use Minecraft in the classroom. Minecraft Teachers Google Group: Community for sharing ideas for using Minecraft in the classroom. YouTube Videos Featuring MinecraftEdu: Tutorials, interviews on using MinecraftEdu in education. Ray Chamber's blog: Tutorials and lesson plans for using MinecraftEdu to teach Computer Science theory. 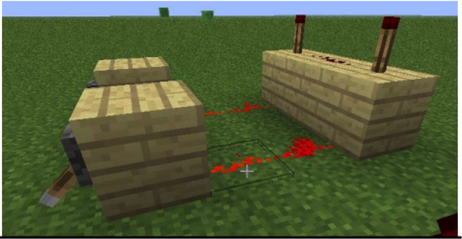 Math with Minecraft: Resources for teaching Math with Minecraft. Teaching with Minecraft: Examples by Subject: Examples of what other teachers have created with MinecraftEdu. 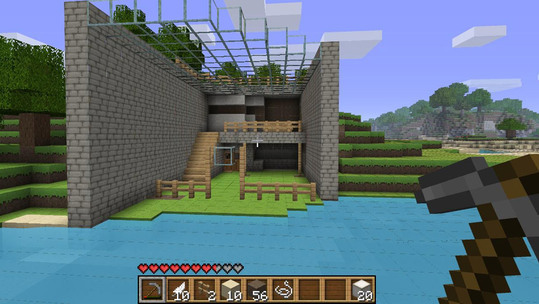 Teaching with Minecraft EDU: Hints, tips and ideas for using Minecraft in the classroom.